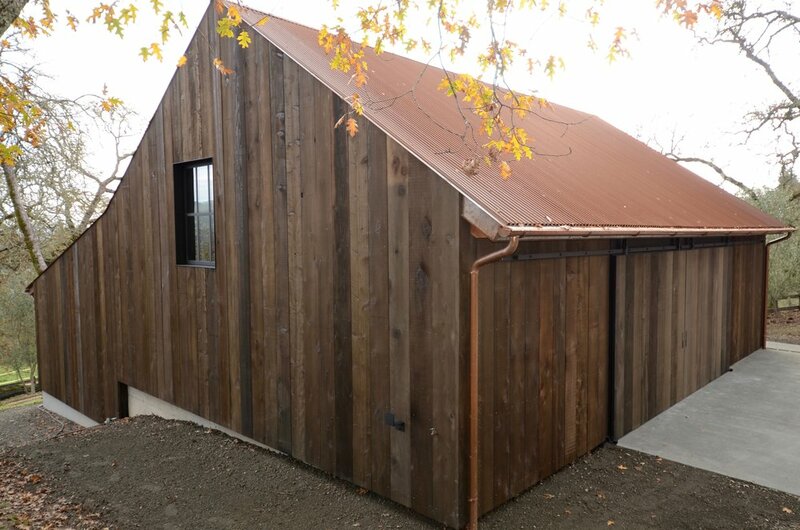 This Glen Ellen Barn was renovated to become a second dwelling unit and celebrate the materials and forms of the region. All siding, doors and decking is reclaimed 2X12 redwood and original interior framing was left exposed with reclaimed douglas fir scribed to fit between each stud. Weathered steel and black iron accentuate the exterior, while modern, rustic fixtures and furnishings complete the interior.